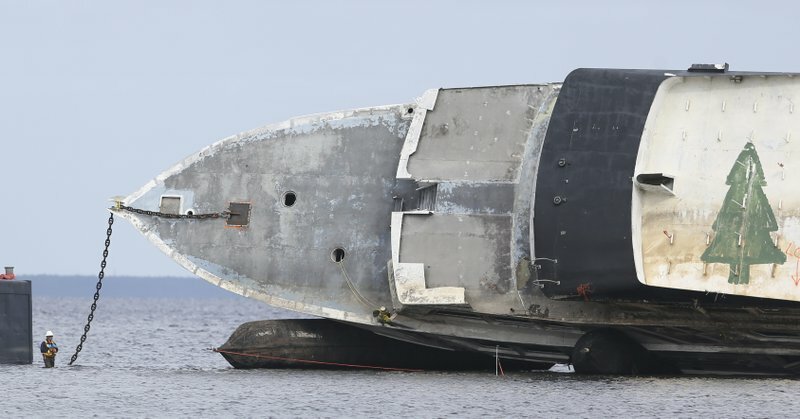 Hurricane Michael took Lee Ingram’s boat, but he refused to let his vessel remain another victim of the storm’s wrath. 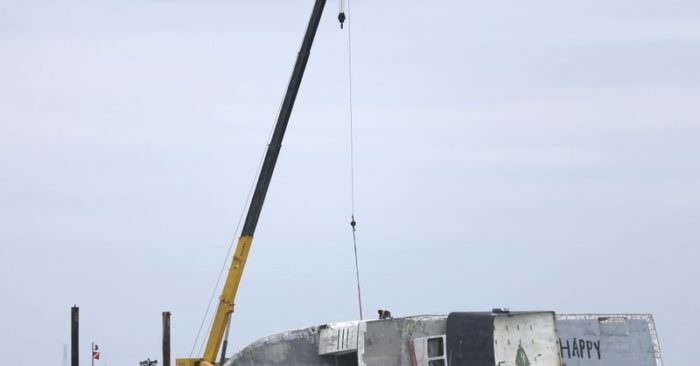 But within a few months, thanks to Ingram’s donation, the vessel will become something else — an artificial reef for divers and fisherman and a symbol of Bay County’s defiance in the face of devastation. 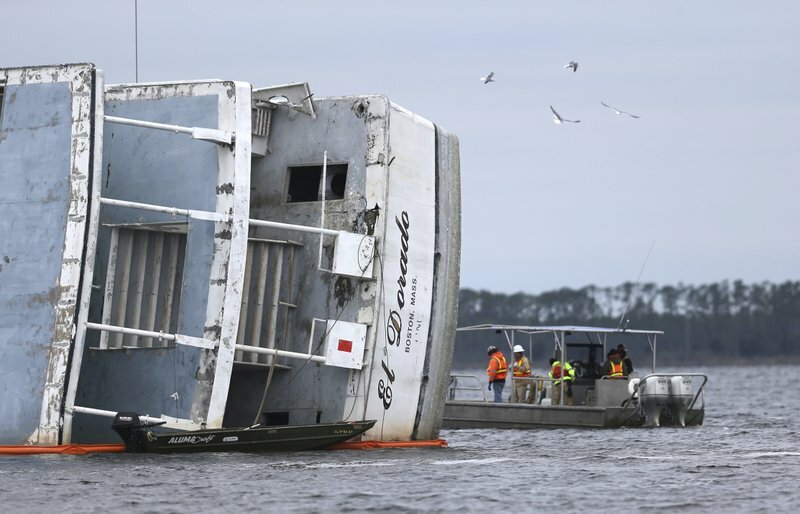 Crews of men were busy on a Tuesday morning, using a crane and air bags to slowly turn the El Dorado upright. 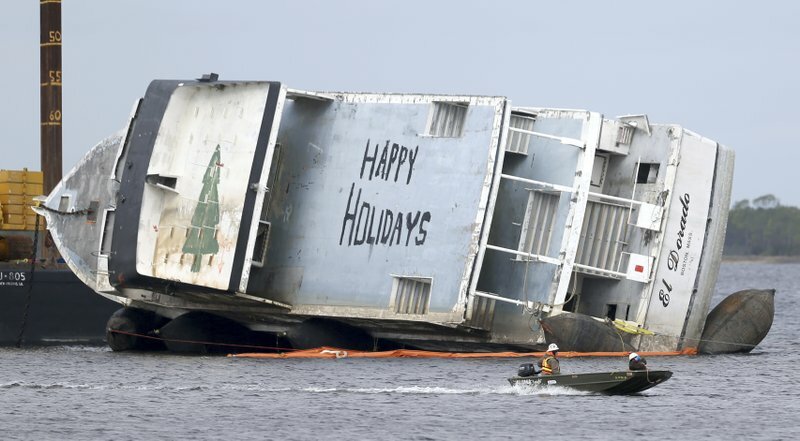 The green Christmas tree with the words ‘Happy Holidays’ painted on the ship’s top deck by at least one festive, anonymous resident more than a month ago, were still clearly visible. The work has been underway since after Jan. 14, when the Bay County Board of County Commissioners acquired the El Dorado through negotiations with Ingram, the U.S. Coast Guard and the Florida Fish and Wildlife Conservation Commission. Green, who recently relocated his diving business to 106 Thomas Drive after the hurricane destroyed his former building, said the boat will be an attractive spot since it’s three stories.